We recently visited with Abby Caswell, DNP, CRNA, who also serves as Secretary/Treasurer for TxANA’s Board of Directors (2017-2019). Dr. Caswell shared her thoughts on why she’s a CRNA, the opportunities and challenges facing the profession, and the role TxANA plays for CRNAs in educating the public and our state leaders about CRNAs as well as the vital role they play in providing high-quality, cost-effective anesthesia care. 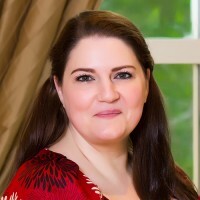 Abby is an Assistant Professor of Anesthesiology at Baylor College of Medicine and practices clinically at Ben Taub Hospital in Houston through a collaborative agreement between the two organizations. Ben Taub is a level one trauma and high-risk obstetrics center, meaning Abby is routinely involved in truly life or death situations. Abby also provides anesthesia services to Houston’s indigent population that might not otherwise receive care. Abby described the incredible diversity of her work as reason she’s passionate about the profession. “I love the variety of case types that I get to provide services for (OB, trauma, vascular, ortho, ECT, organ donation, urology, etc. ),” said Dr. Caswell. Her interest in anesthesia care developed after several of her ICU nursing colleagues began applying to CRNA programs. “I had been practicing as a nurse for about 10 years at that point, but I had no idea that the CRNA profession even existed. I was no longer being challenged in my current position, so the CRNA career path offered an opportunity to challenge myself and take on a new role in nursing and healthcare,” added Abby. And, what sets CRNAs apart from other anesthesia providers? Her nursing background only strengthened her commitment to high-quality, patient-centered clinical care. “Being a nurse does not negate the fact that we provide safe, effective, quality anesthesia care. It is the primary thing that separates us from our counterparts and allows us to truly give patient-centered care,” Dr. Caswell explained. When she’s not serving patients or teaching, Dr. Caswell has always been an avid reader and she loves to travel. “Experiencing new cultures, going on adventures, eating new foods, and sleeping in hotels” make her time away from the hospital or university big fun. Membership in TxANA first came out of necessity, a requirement by Abby's program director at the time. But, she quickly realized the greater value of the organization in representing CRNAs, advancing the profession, educating the public and lawmakers, and advocating for public policy that’s good for CRNAs and good for patients. She decided to join TxANA’s board as a way “to shake things up and add some new perspective.” Abby credits current TxANA leadership and active members in the association’s continuing growth and success. “I believe we have succeeded in electing a progressive board that is willing to step up, take chances, and make difficult decisions in order to advance the practice of CRNAs in Texas. We are the largest nurse anesthetist association in the nation. TxANA can shape national CRNA practice by setting an example for others to follow,” explained Dr. Caswell.